1}:-2 साल की F.D पर :-6.7 [ new interest rate]. 2}:-3 साल की F.D पर :-6.75 [ new interest rate ]. 3}:-5 साल की F.D पर :-6.8 [ new interest rate ]. 4}:-10 साल की F.D पर :-6.85 [ new interest rate ]. 1]:-2 साल की F.D पर :-7.2 [ new interest rate of SBI]. 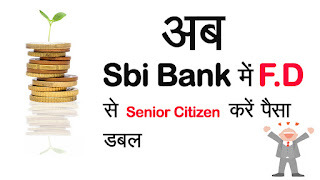 2}:-3 साल की F.D पर :-7.25 [ new interest rate of SBI]. 3}:-5 साल की F.D पर :-7.3 [ new interest rate of SBI]. 4}:-10 साल की F.D पर :-7.35 [ new interest rate of SBI]. Watch Video For More Details Click on this link. LIST OF VISHV TRADING BUSINESS IDEAS YOU CAN ALSO READ.